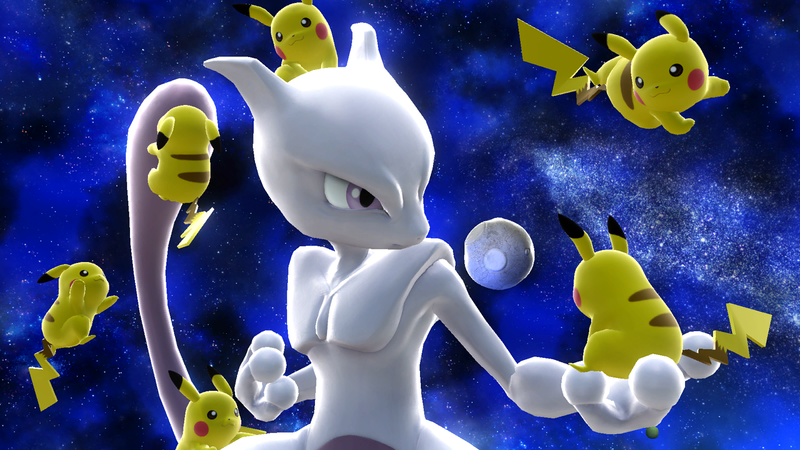 Created from modified Mew DNA, Mewtwo was designed to be the ultimate Pokémon. It didn’t take on any of Mew’s kinder traits and only uses its intelligence to destroy its enemies. Or…so it seems. Perhaps it just feels frightened or even tormented, and that’s why it lashes out. Whatever the reason, Mewtwo is not to be messed with. Mewtwo is a solid amiibo, and is certainly one of the strongest Pokémon fighters available. Its smash attacks are about as unorthodox as they come: all three are immensely powerful and have respectable range and speed to boot. Its tilts are just as useful, packing excellent range and damage-racking capabilities. 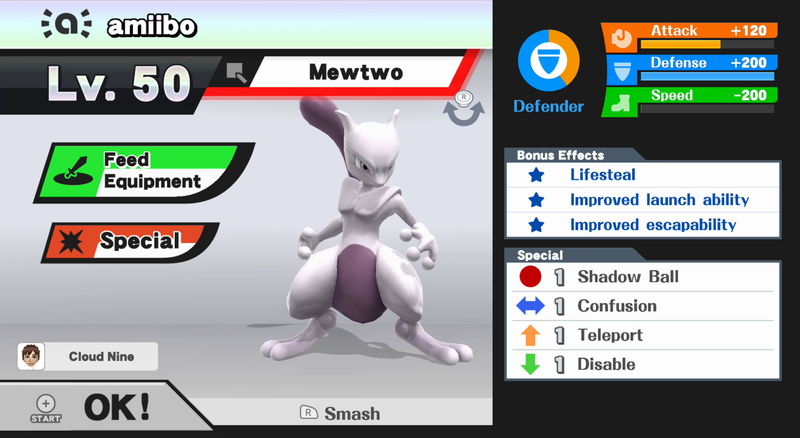 Mewtwo’s recovery potential is also very high – both its side and up specials can aid its successful return. However, Mewtwo suffers from several flaws. In addition to being one of the lightest characters in the game, Mewtwo’s AI is somewhat inefficient at times. It often fires off uncharged Shadow Balls, which inflict negligible damage. 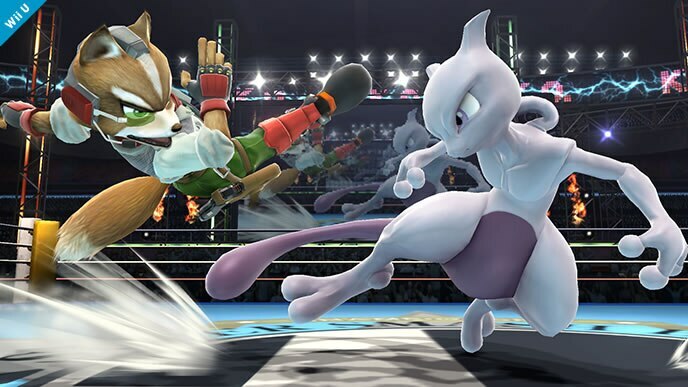 It also tends to navigate stages using its up special, Teleport – as a result of this tendency, Mewtwo will occasionally Teleport directly off-stage and to its death. With proper training, Mewtwo can become an unstoppable force. Its AI takes some getting used to, but its bad habits can be ironed out over time. Neutral options: jab, forward tilt, up tilt, and down tilt. Mewtwo’s jab is one of the most useful of its kind, and is notable for its ability to catch opponents off-guard with its above-average reach. Each of Mewtwo’s tilts has excellent range, and are all viable neutral options. Main KO moves: forward smash, up smash, and down smash. 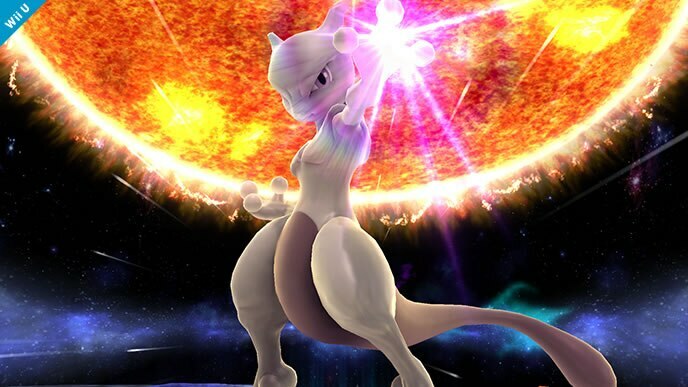 Mewtwo has an incredibly potent set of smash attacks. Its forward smash is the most immediately threatening of the three due to its increased knockback, while its up smash hits multiple times and serves as a devastating aerial punish. Situational moves: Shadow Ball. When using Shadow Ball, be sure to fully charge it each and every time. This will discourage your amiibo from firing uncharged projectiles. Utilize up throw as a secondary KO move. Mewtwo’s got one of the strongest up throws of any character. It’s most effective on stages with low ceilings. Thanks to Blue and Supernova for compiling Mewtwo’s information. Images are courtesy of SmashWiki and the official Super Smash Bros. website.